Eva Mendes was born on 5th March 1972 in Miami, Florida. Her parents got divorced so that her mother raised her alone in Los Angeles. During her early years, she stated that her mother suffered a lot to make her life great. 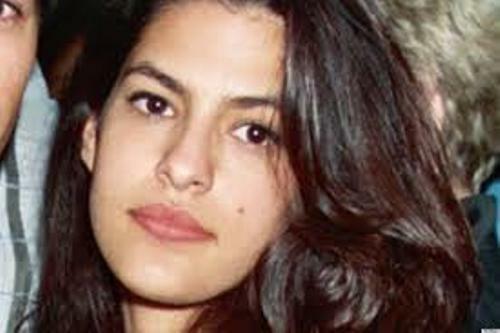 You can see the face of Eva Mendes appeared in Miami music video by Will Smith. Before she pursued her acting career, she went to Hoover High School in Glendale, California. She was enrolled to the California State University. However, she dropped out since she wanted to pursue her acting career. Crazy Leggs Beshee is Evan Mendes’s children book. Not many people relaxed that Mendes loves writing. If you want to know her writing skill, you need to read the book and give appreciation. Eva Mendes was ranked on the 27th rank for the Maxim Hot 100 Issue. The first rank for the hot female celeb was taken by Eva Longoria in 2006. In 2003, Evan Mendes was involved in four movies. Those are Stuck on You, Once Upon a Time in Mexico, Out of Time and 2 Fast 2 Furious. In 2 Fast 2 Furious 2003, Evan Mendes got a role as an undercover agent. Her name was Monica Fuentes. She was paired with Tyrese Gibson as Roman Pearce and Paul Walker as Brian O’Conner. Out of Time in 2003 is a good movie for her. She was paired with a wonderful actor Denzel Washington who played as Matthias Whitlock. In the movie, she became the girlfriend of Matthias named Alex Diaz Whitlock. Another movie that she had starred was Training Day 2001. He played Sara who come the girlfriend of Denzel Washington. In a Teen Choice award 2003, she got nomination for her four movies. Do you have any opinion on facts about Eva Mendes?